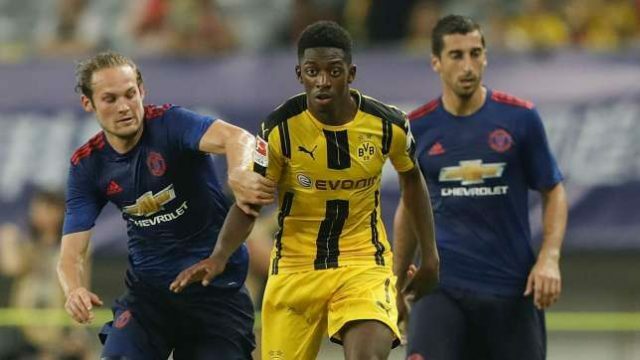 Home Sports Ousmane Dembele Set To Remain At Barcelona? Ousmane Dembele Set To Remain At Barcelona? Barcelona maintain that Ousmane Dembele is not for sale this summer despite reported interest from Arsenal and Paris Saint-Germain on Thursday, sources have said. Dembele, 21, became the club’s most expensive player (since replaced by Philippe Coutinho) when he joined from Borussia Dortmund for an initial fee of €105m last summer, following Neymar’s move to Paris. Ernesto Valverde then left him on the bench for some of the club’s biggest games at the end of the season, leading to rumours about his long-term future with La Liga’s champions.